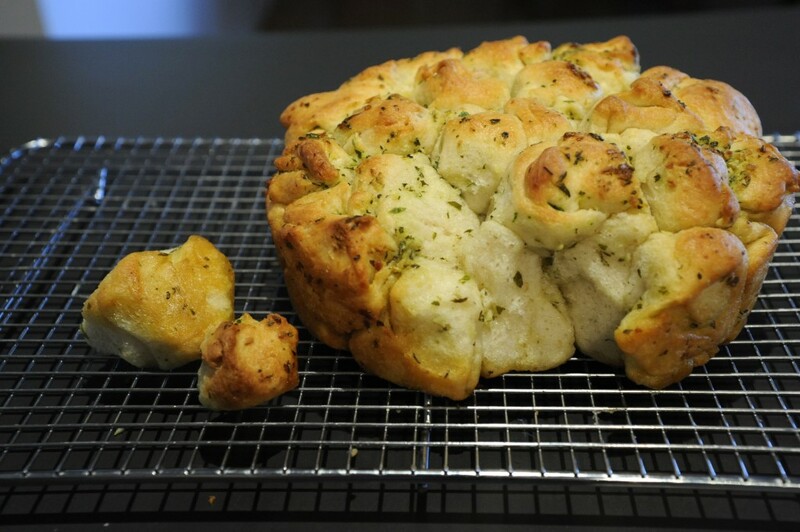 So we have had some questions about how to construct a pull apart loaf. You can find the Thermomix recipe here on the Recipe Community and basically you can use any bread recipe you like. The real questions are about what it means to assemble it in a concertina fashion. When you roll out the dough, cover it in the butter mix, then cut it into long strips. Then take 1 strip and basically fold it together in a zig zag fashion (concertina), then pop it into a tray to rise again and cook. 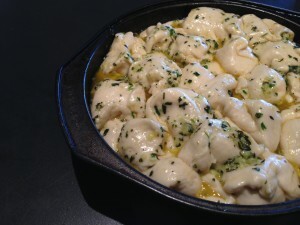 The method means that you get lots of pieces that have the butter mix appearing through the loaf. There is nothing wrong with the above method and it is fabulous to do, but for me, the pieces come away in bigger chucks and I have 2 kids (5 & 3), who given half a chance, would just eat the bread at dinner and nothing else. Plus, I always end up with half of the loaf in my hand, when all I want to take is a small piece. 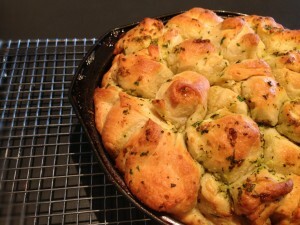 So, I prefer making my pull apart more like Monkey Bread. It means that all of the individual pieces are similar in size, pull away easily and don’t make you look like a little piggy. They are also a great size if you are re-dipping into sauce and fit nicely in your fingers. Pop it in the oven for the time specified on the Bread Recipe, or until the bread is golden on top and sounds hollow when tapped.